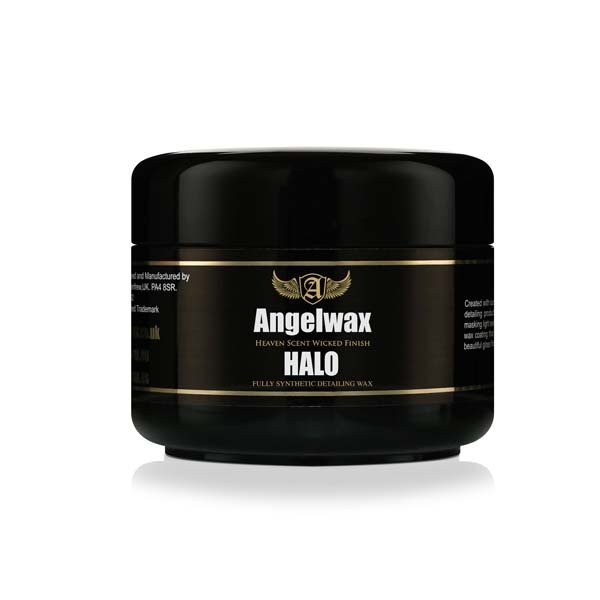 Formulated by our chemists in our laboratory, Angelwax HALO adds a protective 'seal' to the bodywork which provides a deep gloss with superb durability and offers protection in excess of 6 months. Available in a 250ml pot and 30ml sample pot. Directions: Ensure that the surface is cool, clean and well prepared before application and that the area to be treated is free from traffic film, tar and other contaminants. Apply Angelwax HALO sparingly with a clean, dry microfibre cloth or wax applicator to the desired area and leave the sealant to cure for a few minutes before removing with a clean, dry microfibre cloth.